Organize your meetings with Xoyondo's free meeting planner. Group scheduling can be time consuming. Typically lots of back-and-forth emails are required until a suitable date becomes apparent. And in the end somebody of the group changes their mind and the hassle starts anew. That's why Xoyondo developed a simple to use meeting planner that assists you with your scheduling needs. Take a look. It's free. The principle of Xoyondo's scheduling app is simple. 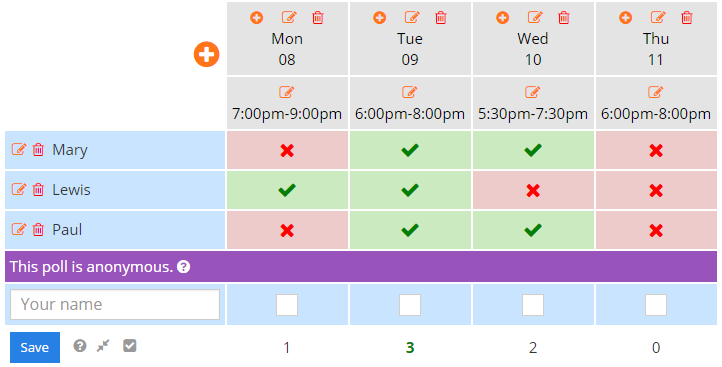 If you want to find a date for a meeting or appointment where a group of people is involved, simply select possible dates from our integrated calendar and send the link to your personal poll website to your participants. They can indicate when they have time so that you can easily read off the perfect date for your event in the meeting planner table. Let's have a closer look at how this works. Meet John. John is president of the local dog breeders association and wants to schedule the next board meeting with 20 of his colleagues. Finding a suitable date has been difficult in the past and he decided to use the group scheduling app of Xoyondo. In a first step he enters a few general details about the meeting. The annual board meeting typically takes place in the beginning of May. Therefore John chooses a few potential two-hour slots at that time. The calendar plugin is easy to use. Clicking on an empty space in the calendar creates a slot. Simply drag the slot to the time you want. By clicking at the bottom of a slot and dragging you can easily adjust the duration. 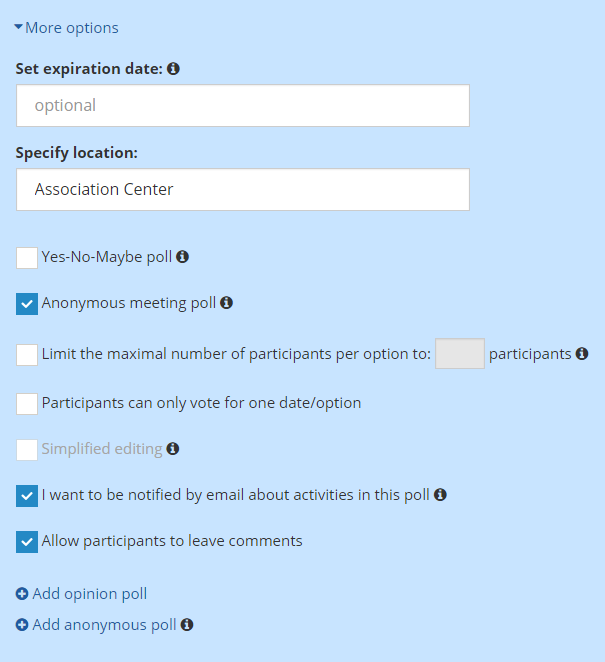 Once potential dates are chosen, there is a variety of options to customize your poll. John creates an anonymous meeting poll since he does not want that the participants can see each others votes. Furthermore he wants to be notified by email everytime there is a new vote or comment in the poll. He therefore activates the corresponding options. That's it. John's poll is ready. Now he has to invite the participants to his poll. There are two different personal links to his poll. One for the participants and one for him as administrator where he can edit the poll and manage the votes. John distributes the participants link via email and can lean back and wait for the votes to come in. 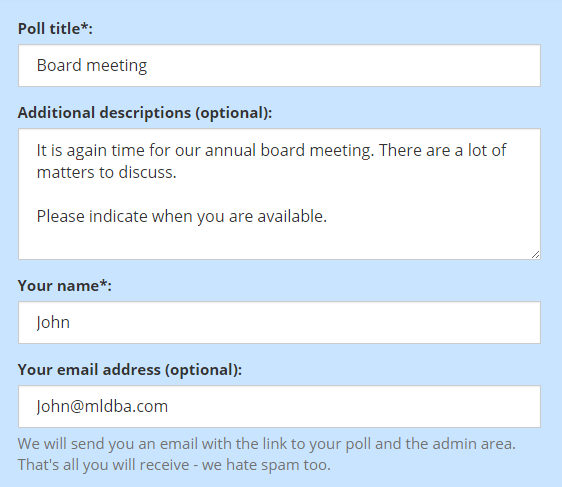 John chose to create an anonymous meeting poll. Therefore he can see the votes only in the admin area of his poll. It seems that three people already voted and that Tuesday is a promising candidate for the board meeting. That was easy. Try it yourself! 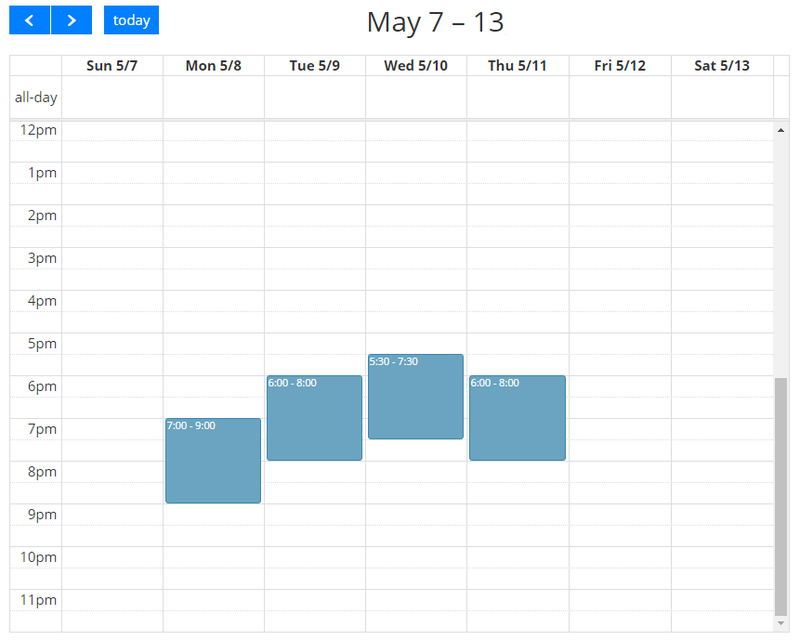 Start hassle-free scheduling with Xoyondo's meeting planner today.